This Little Golden Book was originally published in 1948 and stars Dopey, Bashful, Grumpy, Sneezy, Sleepy, Happy, and Doc from the classic film Walt Disney's Snow White and the Seven Dwarfs! 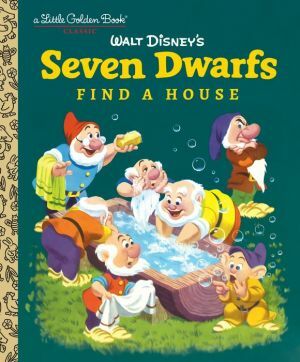 Find out how Snow White's friends the Seven Dwarfs--Sleepy, Happy, Bashful, Sneezy, Grumpy, Doc, and Dopey--find their delightful little cottage in this classic Disney Little Golden Book. Originally published in 1948, this story features beautiful vintage artwork that will delight girls and boys ages 2 to 5, as well as collectors of all ages!